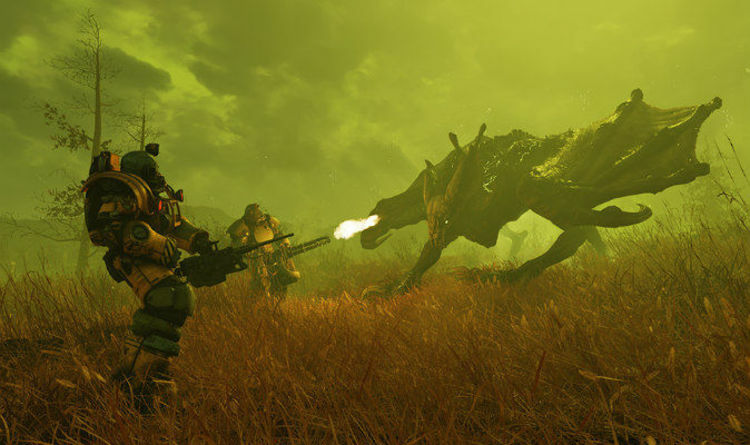 Anyone who has been trying to play Fallout 76 today will know that a massive new update has been released on all platforms. Patch notes confirm that a lot of bug fixes are included in the Nov 19 download, which is another beefy one for console players. They will also know that Bethesda has put the game in for scheduled maintenance, meaning servers will be down for a period today. And when it does finish, players will need to complete a massive 47GB download on consoles before they can get back to exploring the wastelands. The good news is that this new patch brings additional performance and stability improvements and many bug fixes to the game. However, it does not have other highly requested changes that some fans have been calling for. This includes an increased Stash Limit and several PC Quality of Life adjustments, which are not included in this update. “We will be increasing the stash limit in the coming weeks. The current limit is there for technical reasons, to cap the number of items the game is tracking in the world, including every container and stash. Bethesda says that these added features are coming in the next several weeks. Each platform has a different patch number, which includes: Xbox: 1.0.1.8 – PS4: 1.0.1.9 – PC: 1.0.1.14. And some of these changes are only listed for certain platforms. For instance, Xbox One users are receiving a unique fix that should stop instability on certain menus. This isn’t needed on PS4 and PC, which have their own tweaks listed in the official patch notes.